The competence field of Medical Image Processing involves the processing of medical images (MRIs, CTs, photos, etc.) 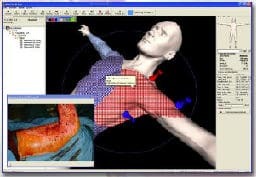 in computer simulation models. 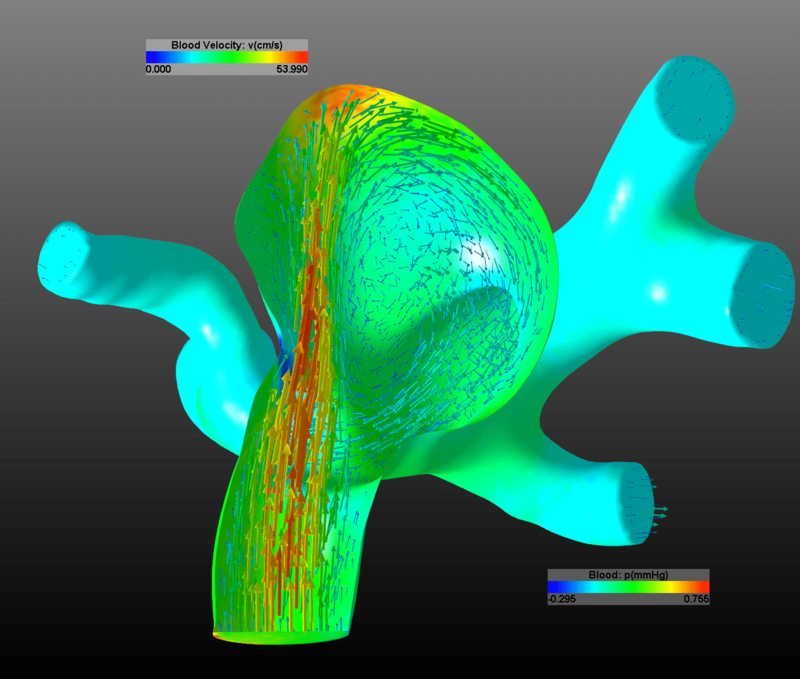 In the MEDVIS 3D project, patient-specific blood flow modelsthat construct accurate virtual replicas of the brain arteries from the medical image data are created. Based on layered data from angiographies, vessel trees are reconstructed and visualized. 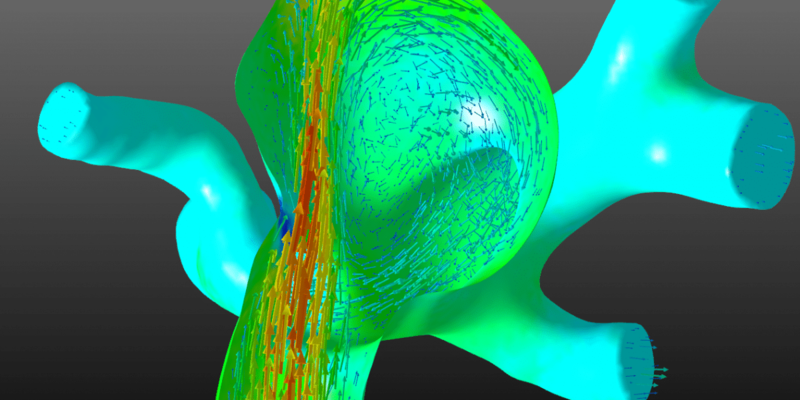 The system identifies areas in which there is an abnormal expansion of the vascular wall (aneurysm) and can calculate various metrics such as diameters, volumes, cut surfaces, velocity and pressure fields, as well as surface tensions on the vessel walls, while also taking the enlargement of the vessels through the heartbeat into account. The BURNCASE 3D project enables an objective assessment of the depth of burn injuries based on digital images using a special prism lens. In the SEE-KID/CEVD project, three-dimensional volumes of the eye muscles were defined on the basis of MR tomograms and integrated into the model.